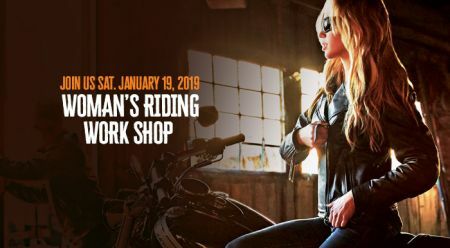 Home › Events › Ladies Riding Workshop! Are you curious about motorcycling, but not sure how to start? This event is for you. Join us for an empowering event with like-minded ladies. We'll talk bikes, gear and learning to ride. No pressure. No judgment. NO experience needed. We'll talk safety gear and give you the chance to ask questions. If you've never ridden before, experience the JUMPSTART demo, where you get to sit on, start and rev a Harley® to experience the thrill. Lady Riders will be here to answer questions. Call 214-495-0259 or Email Amanda@hdofdallas.com if you would like to attend.